Okay I will admit this is abit..ok alot of a stolen idea from Fashion Foie Gras . I love reading/looking at her Twitpics from the Front Row Fashion Gang weekly posts...which is basically a round up of twitpics from different fashion tweeters! So I thought I would do my own weekly posts but more beauty related...however the credit is really all hers! 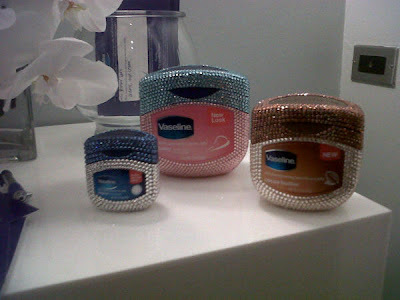 ~ How cool are these bejewled bottles of Vaseline? I die! Is that sad? ~ Oh, that dangerous velvet.....! ????? So what do you think! Would you like to see this as a weekly feature? 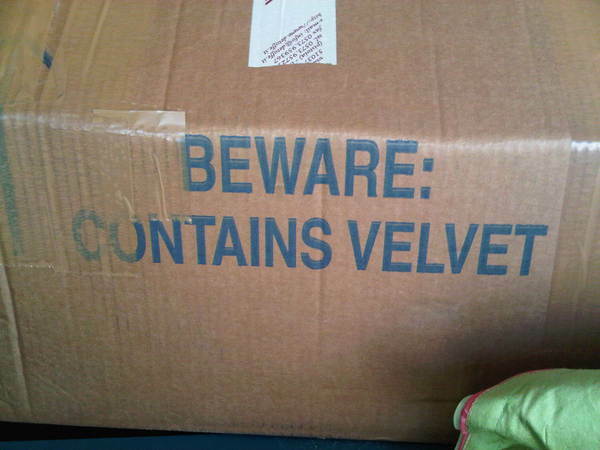 The Vaseline tubs are really quirky! And the Vaseline pots are certainly interesting!! ya please do this every week! What fun pictures! I definitely love anything with a little bit of bling to it!